SmarterComics has their work cut out for them. In the first place, they're a new publisher. That's going to be a challenge for anybody in this day and age. In the second place, the comics they producing are based on non-fiction works, generally, without a clear narrative structure. That's going to make translating the stories into a compelling graphic format more challenging. But having read two of their books so far, I have to say that I think they're going to make a good go of it. The books that I looked at were The Long Tail by Chris Anderson and The Art of War by Sun Tzu. Both of which were illustrated by Shane Clester. I was generally familiar with the contents of both of the original books these comics were adapted from, but I've never actually sat down and read either. Since both books were drawn by Clester, it's a little easier to see how the source material impacted the "story" flow. Anderson's book, while not containing a strict narrative, does follow a progression that takes the reader from one concept to the next in a fairly linear fashion. Art of War is more like a series of only generally related pronouncements, with some back-up explanations. Consequently, War is more disjointed and doesn't hold together as a single book as well as Tail. The sequences in War could be taken more independently and out of context without having a dramatic impact on the messaging. Trying to read Tail non-sequentially would not be unlike trying to read a couple of random pages of Understanding Comics. 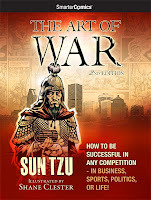 Another notable difference between Art of War and Long Tail is, not surprisingly, how contemporary the contents are. War was, of course, written several centuries ago, while Tail first came out in 2006. There's a note in the forward of War alluding to the timeless nature of the contents and how, in order to make it more deliberately contemporary, the artwork depicts decidedly more modern settings. In that respect, I think War will hold up better in the long run, but that has more to do with the basic content itself. 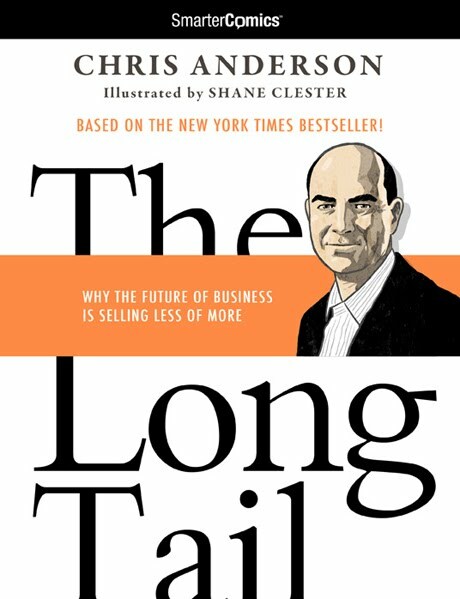 Anderson's book, while extremely relevant and insightful now, almost certainly has a more finite shelf-life. Personally, I enjoyed Tail more than War. The more linear narrative in Tail seemed to make for a smoother read, and the messages weren't ones that have been well-worn over the past several thousand years. 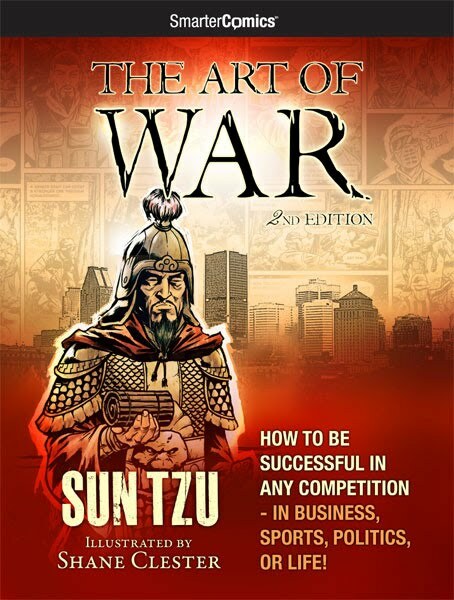 I suspect that most people, even if they haven't read Tzu's original, are at least nominally aware of the ideas presented in it. Anderson's ideas are less on focused on the general truisms of mankind, and more on some specific cultural shifts that are occurring in our society right now. I can't speak to how well these works are adapted from the originals. As I said, I haven't read those. So I don't know how much editing may have been done, or where written examples are simply depicted graphicly. Moreover, it's unclear which translation might've been used as the basis for Art of War. But these comics do seem to do a good job of getting across the main points of the originals. I think SmarterComics would do well to continue focusing on more contemporary books, and not try to work on older works in the public domain. Given their upcoming lineup, this indeed appears to be the direction they're headed. I think what will make them successful is providing poignent messages for a modern audience that can be read and understood much more quickly than the original sources. (I read through each book in under an hour.) I don't know that the subject matter of EVERY book they've got coming will be my cup of tea, but there's several others that look promising and their initial efforts here are quite welcome.